The Cloud 9 is a breakthrough in the sports and fitness world that delivers affordable altitude training in a package with many benefits. The Cloud 9 Altitude Generator is a great way for an individual to participate in altitude training. The Patented Cloud 9 is the heart of individual altitude training and produces adjustable ‘Altitude air’ that can be fed to an altitude mask system or an Oxy Hood altitude sleep tent. The Cloud 9 from Sporting Edge provides the most cost effective and innovative form for an individual to up their game by means of altitude training. 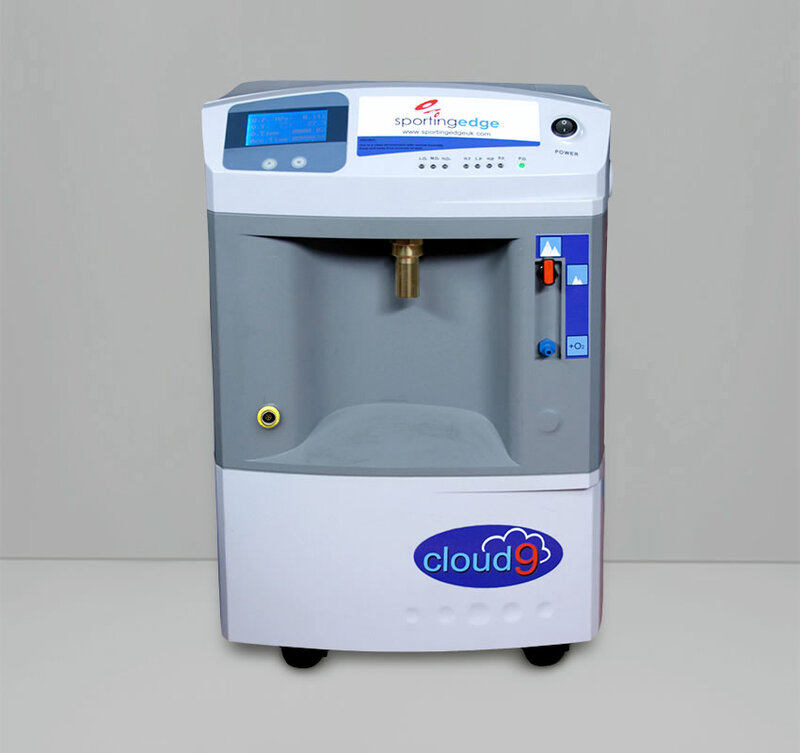 At sometimes half the cost of competing altitude generators, that work on a method developed many years ago the Cloud 9 breaks new ground with design, price point, ease of use and end user support. A pulse oximeter now comes as standard with the Cloud 9, giving the user the opportunity to measure blood saturation (effect of altitude training) and heart rate whilst training on ‘Altitude Air’. This provides a measurable way to monitor performance and adjust the altitude from the Cloud 9 to influence the end effect. Available in the Altitude Training Shop. Sporting Edge offer the altitude mask kit and Oxy Hood sleep tent systems to give the choice of active exercise or passive altitude exposure. To get started you’ll need a Cloud 9, a Generator Connection Kit and either an Altitude Mask Kit or a Oxy Hood sleep tent to have a fully functioning altitude training simulator. The Altitude Mask kit connects to the Cloud 9 Altitude Generator. The mask provides a comfortable, direct way of experiencing altitude training with a face mask to supply the altitude air. The Altitude Mask Kit is lightweight, strong and easy to assemble with three different sizes of face mask to choose from. The Mask Strap keeps the Mask firmly in place whilst training actively on a piece of cardio equipment or using weights. The Generator Connection Kit provides smooth air flow and a reservoir to breathe from. 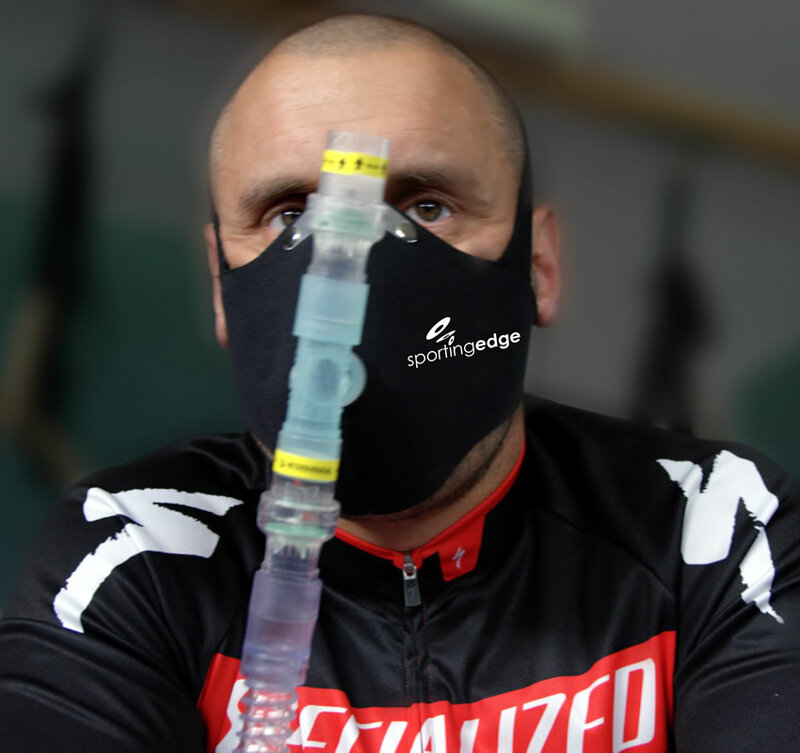 The Altitude Training Mask is fully washable to help prolong its usage life. The Altitude Training Mask kit comes packaged in a drawstring bag which helps the user keep the kit protected when not in use. Combine the Cloud 9 Altitude Generator with the Generator Connection Kit and the Mask kit for everything you need to get training. Altitude Sleep Tents are used for passive exposure to altitude through the night on a regular basis. The tent can also be used for housing a single item of cardio equipment such as a rower or a bike. The Altitude Sleep Tent requires a Cloud 9 Altitude Generator and a Generator Connection kit to supply altitude air to the tent. The Altitude Tent is an unobtrusive structure compared to other altitude sleep tents and provides full enclosure of a double bed. There is enough room to sit up, use a laptop and comfortably watch TV through the transparent material.